Check out this campaign ad created for the Newt Gingrich 2012 Campaign for the Republican nomination. I was struck by it based on our recent conversations about the Declaration of Independence, Article of Confederation, The Constitution, The Bill of Rights, and Howard Zinn’s take on all of it. What are the creator’s of this ad (and others like it) trying to tap into? Are there themes from the 18th century that are being rejuvenated? 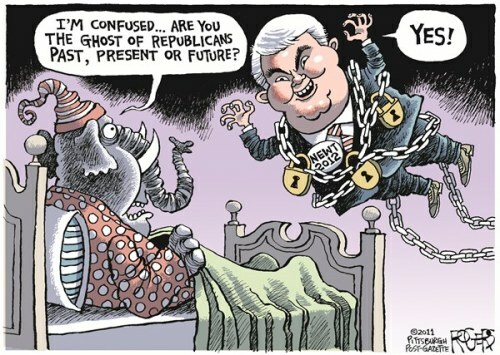 What is Gingrich’s angle? Finally, if Zinn was correct in assuming that the Founding Fathers only created a society for rich white men, could history repeat itself?